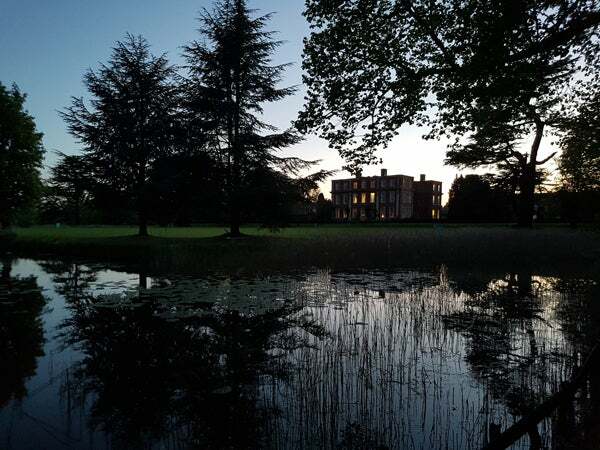 On the 9th and 10th of May, 2018, a group of biologists, palaeontologists and other scientists (yes, there was at least one physicist in attendance) gathered at the Royal Society’s Chicheley Hall in the picturesque Buckinghamshire countryside for the Theo Murphy International Scientific Meeting Sexual Selection: Patterns in the History of Life. The meeting was arranged by Robert Knell, Doug Emlen and Dave Hone. Over the course of two days, sessions covered sexual selection and macroevolution, the identification of sexual selection in the fossil record, relevant patterns, processes and mechanisms, and more. There were numerous talks as well as discussion sessions, the latter always being useful as goes determining the direction and areas of focus in a given field. The venue was (and is) spectacular – a countryside idyll, set in well-planted, green grounds and with wildlife all around. A few of us went animal-watching on a few occasions (variously seeing assorted passerines and bats), and it seemed most fitting that peacocks (which are likely to be fairly destructive to local wildlife, it has to be said) were strutting around the place for the duration, frequently displaying and calling right outside our lecture theatre. I’m not going to properly summarise any particular talks in this brief write-up. Furthermore, a great many of the talks were on non-tetrapods: cichlids, guppies and other fishes were the focus of a few presentations, and insects – flies and beetles especially – were model organisms for a few others. A nice and logical integration as goes both living and fossil organisms was in evidence, with the same approaches and techniques being applied to both. It’s obvious that we’re mostly stuck with a sample size problem when it comes to fossil animals, but we’re doing what we can – a fact increasingly recognised by biologists specialising on extant animals – and some results are encouraging. Allometry, the costs of various structures linked with sexual signalling and the influence that sexual selection seemingly has on extinction rates, speciation and the development of new morphology (have you heard about ‘magic traits’?) were all touched on at the meeting. 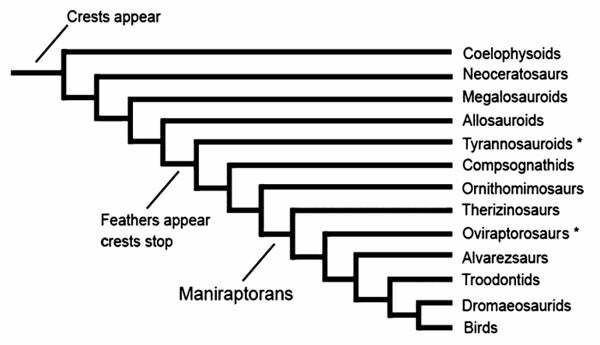 My tetrapod bias requires that several talks were especially enjoyable. 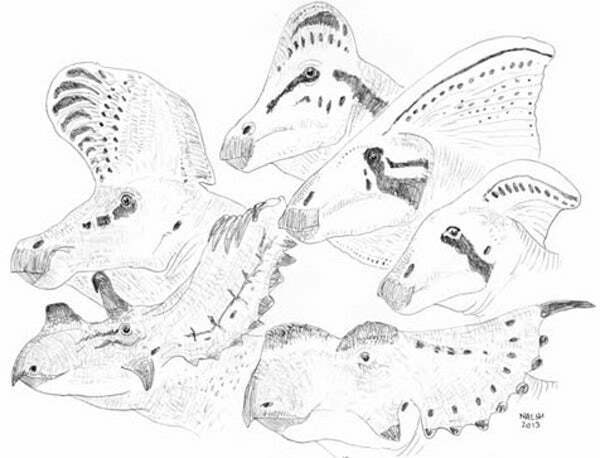 Christine Janis discussed the evolution of cranial ornaments (horns and antlers and such) in mammals, those models that seem to explain their evolution, and how those ornaments can be used to infer habitat and ecology in extinct groups (Janis 1982, 1986). Several talks covered fossil dinosaurs and how we might interpret their extravagant structures within the context of sexual selection theory (on which, see Knell et al. 2012). Caleb Brown’s talk on ornithischian display structures showed that the features concerned evolved rapidly and exhibit more variation than other structures; both this talk and Devin O’Brien’s used data from extant animals, something that always makes me lament the data on cassowaries and chameleons that I have failed to collect when opportunity arose. The ‘weapon’ to ‘signal’ continuum was addressed by Erin McCullough: some structures interpreted as display structures should instead be characterised as weapons – or, better, as tools – in which case the constraints acting on their evolution sometimes need to be reassessed. Bucky (Terry) Gates covered his research on the distribution of cranial crests in theropods (Gates et al. 2016) and ongoing work that involves study devoted to the bizarre, often ridiculously flamboyant galliforms. Argus pheasants and so on are so crazy that we’d have a really hard time taking them seriously if they were only known as fossils. Dave Hone and I had fun using galliform traits when discussing flamboyant features in dinosaurs in our 2013 paper on ‘species recognition’ (Hone & Naish 2013). I very much enjoyed catching up with Kevin Padian. Those familiar with the palaeontological debate on sexual selection will know that Kevin (sometimes writing with Jack Horner) has contested all the things that other palaeontologists and biologists (e.g., Hone et al. 2011, Knell et al. 2012, Hone & Naish 2013) have said about sexual selection (e.g., Padian & Horner 2011a, b). I do not agree with him, and nor does anyone else I’ve heard from on this issue. Nevertheless, I feel it was fair and appropriate to have his perspective represented at the meeting. There was also a poster session. Possible sexual dimorphism in horned dinosaurs, masturbation in primates and tail club function in ankylosaurs were among the many offerings. Yes, Victoria Arbour was at the meeting. My thanks and congratulations to the organisers and presenters, and to the Royal Society, for a most enjoyable and valuable event. 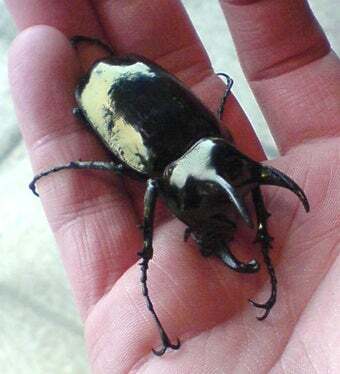 Our ability to wring appropriate data and statistical tests from fossil vertebrates has improved in recent years as data and methods used in studies on insects and other animals have been applied. For this and other reasons it feels absolutely appropriate to have work on dinosaurs, fossil mammals and so on discussed alongside that on other animals. Even if they are fish. Or insects. Ok, I’d admit it: fish and insects are also quite interesting. Did dinosaurs and pterosaurs practise mutual sexual selection? Dinosaurs and their exaggerated structures : species recognition aids, or sexual display devices? Gates, T. A., Organ, C. & Zanno, L. E. 2016. Bony cranial ornamentation linked to rapid evolution of gigantic theropod dinosaurs. Nature Communications 7, 12931. Janis, C. 1982. Evolution of horns in ungulates: ecology and paleoecology. Biological Reviews 57, 261-318. Janis, C. 1986. Evolution of horns and related structures in hoofed mammals. Discovery 19 (2), 8-17. Padian, K. & Horner, J. R. 2011a. The evolution of ‘bizarre structures’ in dinosaurs: biomechanics, sexual selection, social selection or species recognition? Journal of Zoology 283, 3-17. Padian, K. & Horner, J. R. 2011b. The definition of sexual selection and its implications for dinosaurian biology. Journal of Zoology 283, 23-27.